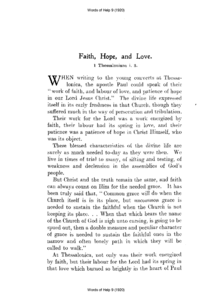 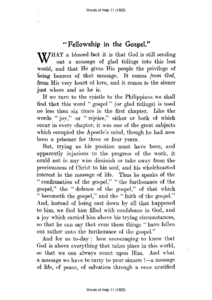 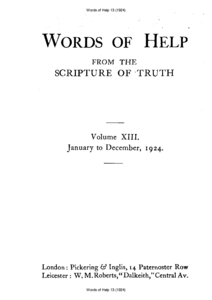 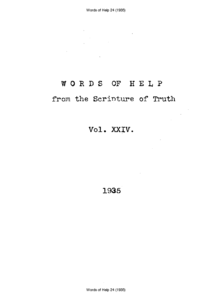 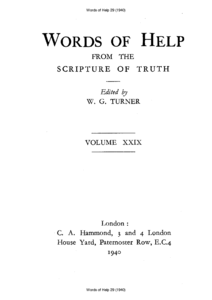 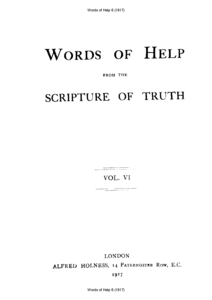 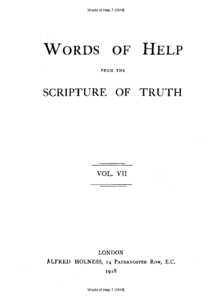 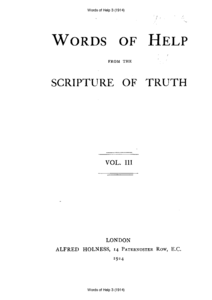 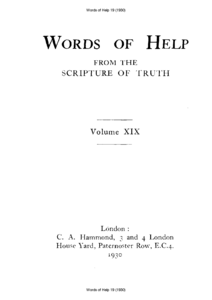 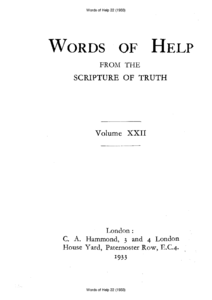 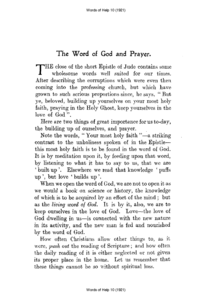 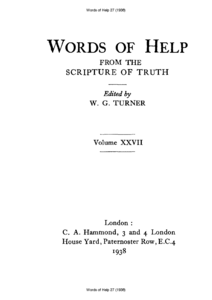 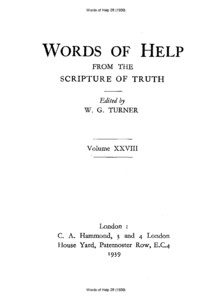 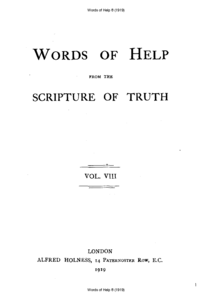 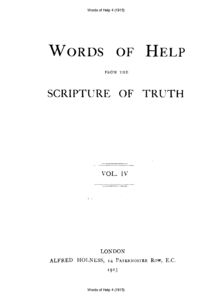 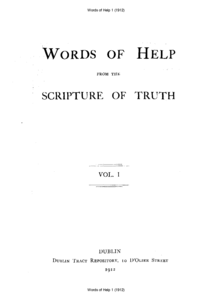 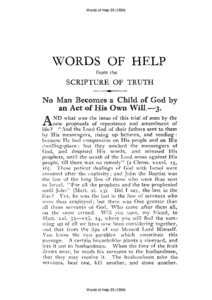 "Words of Help" was continued until 1977. 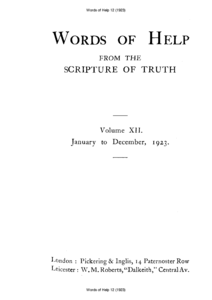 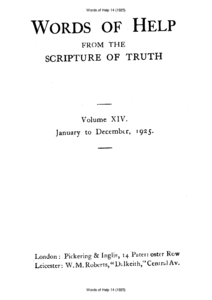 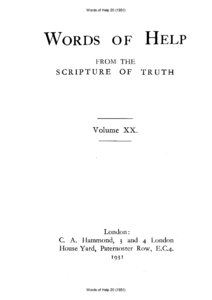 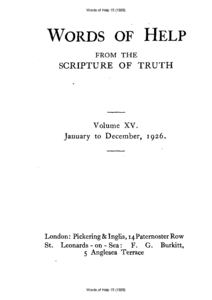 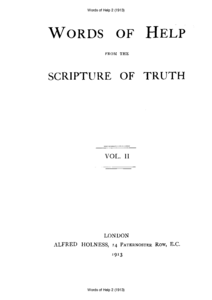 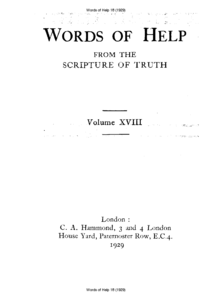 Since 1978 it was incorporated by the magazine "Scripture Truth". 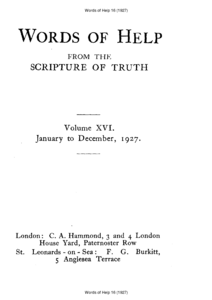 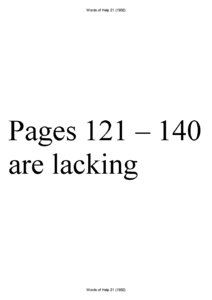 The editors were: 1912 - 1926: W. M. Roberts, 1926 - 1929: F. G. Burkitt, 1929: H. S. Smith, 1930 - 1935: W. R. Kelsey. 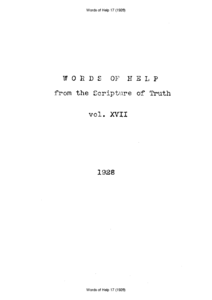 1935 - ? 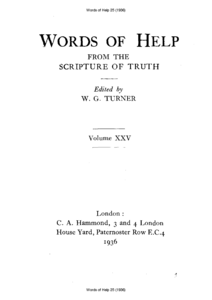 : W. G. Turner.